How to Convert protected AAC to MP3 on Mac with Protected AAC Converter? 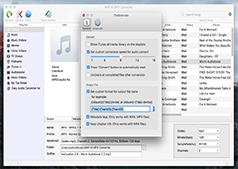 How to Convert Protected AAC to MP3 on Mac? Once you downloaded an protected AAC audio from the iTunes store, enjoyed a lot in your Mac and finally decided to play it on your Windows PC, Android Tablet, or in a Media Player, you will realize the fact that the music file is not opening in any other media devices than your Mac. It is frustrating to use such a song that can only be played on a single device. Why can’t you play this DRM protected AAC song on other devices? What’s stopping the devices from playing it? The reason is the DRM protection of the music file that set by iTunes to prevent the copying of the song. Sometimes it set a limit to the number of computers that can play the file or completely block them. This is such a good security feature by the iTunes but not that much favorable to the users. To break the barrier, you must have a DRM removal software installed in your Mac OS X that can convert any of the DRM protected music files to numerous supported audio formats after removing the protection. As the professional Protected AAC Converter, the M4P to MP3 Converter can do the job for you. No matter whether your AAC music file is DRM protected or not. The software can easily convert AAC to MP3 audio within seconds. The completely legal process makes the protected AAC conversion easier than never before. You can now transfer any of the DRM protected AAC songs to anywhere you like. Never leave your favorite files on the iTunes store just because of the DRM protection of the file. 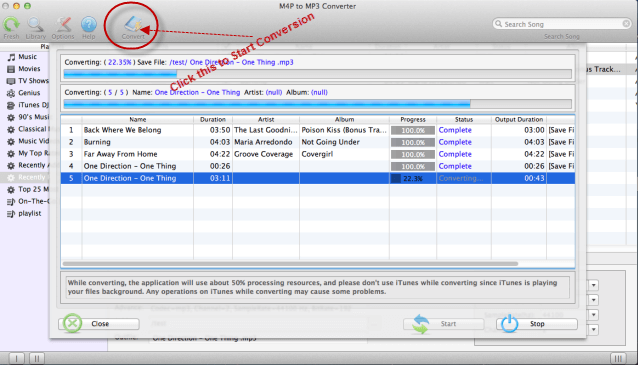 Here is the M4P to MP3 Converter to help you. Follow the simple steps given below to convert the DRM protected AAC music files to MP3 files without any protection. Note: Before starting the process, make sure you have the iTunes installed in your computer and the protected AAC Music files that you wanted to convert are added to the iTunes Library. If you don’t have iTunes, get it from Apple Official Website. 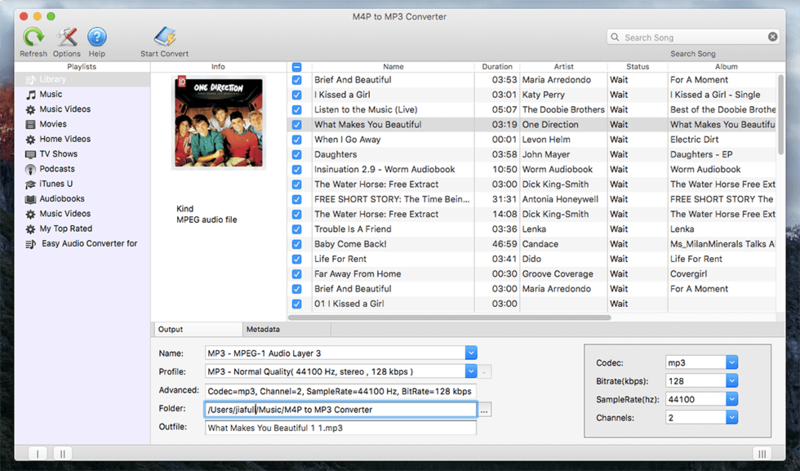 Step 1: Download and Install the M4P to MP3 Converter on you Mac. Step 2. Launch the software and you will see the iTunes files automatically fetched by the software. Step 3: From the left panel, choose the library or category that include the AAC songs that you wanted to convert. Step 4: Choose the DRM protected AAC music from the list shown on the screen. Step 5: Now, move to the bottom of the window where we set the output configurations. In the Name section, choose the output format that is MP3. Other areas will be automatically filled by the software with default values. If you wish to change them, you could also do that by changing the values in respective areas. Note: You can change any of the settings like Codec, Bitrate(kbps), SampleRate(hz), Channels by changing the values shown in the bottom right corner. Step 6: Now, Choose the Output folder by clicking on the Output icon near the Folder text box. If you don’t want to change the output folder, skip the step. Step 7: All set, and it’s the time to start converting the protected AAC files. To start the process click the Start Convert Button on the top bar. 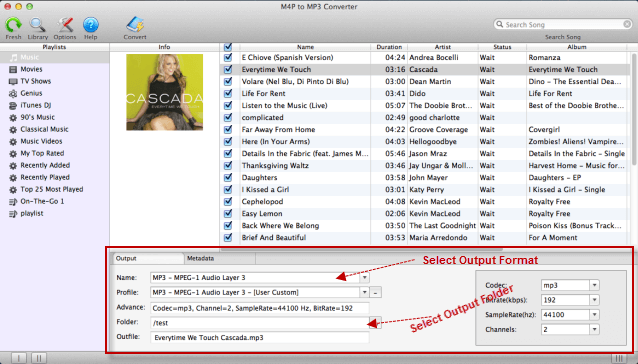 M4P to MP3 Converter will now start converting the AAC songs to MP3 format. Sit back and wait for the process to complete. It may take a few minutes to complete the process according to the number and size of the protected AAC files you chose. But, comparatively our process is many times faster than the competitors. 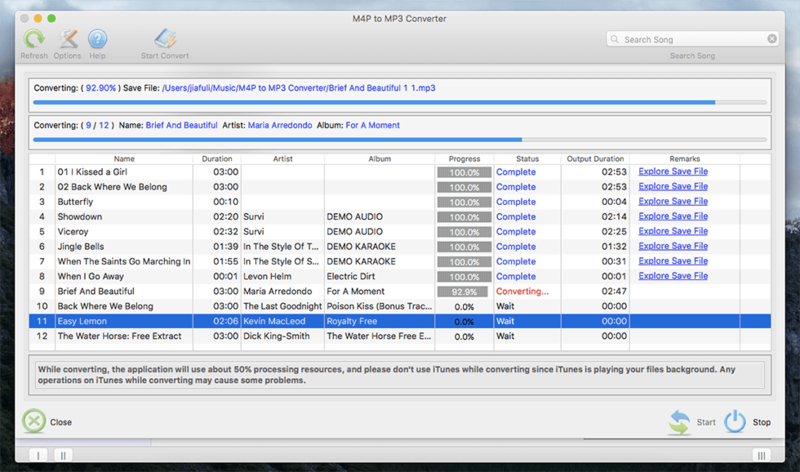 After the process completed, you will see the MP3 files in the output folder you chose before. Hurray… Now, you converted those DRM protected AAC songs to MP3 format without any protection. The music file will now work on any of your Android devices, Media Players, Windows PCs and any device that can play MP3 songs. Enjoy the world of music with the M4P to MP3 Converter. 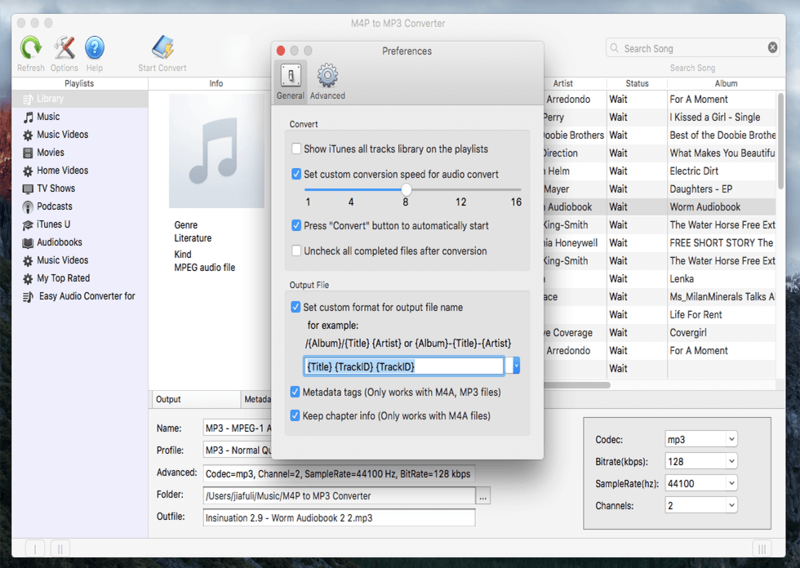 How to convert AAX to MP3 on Mac? How to convert purchased iTunes music to MP3?